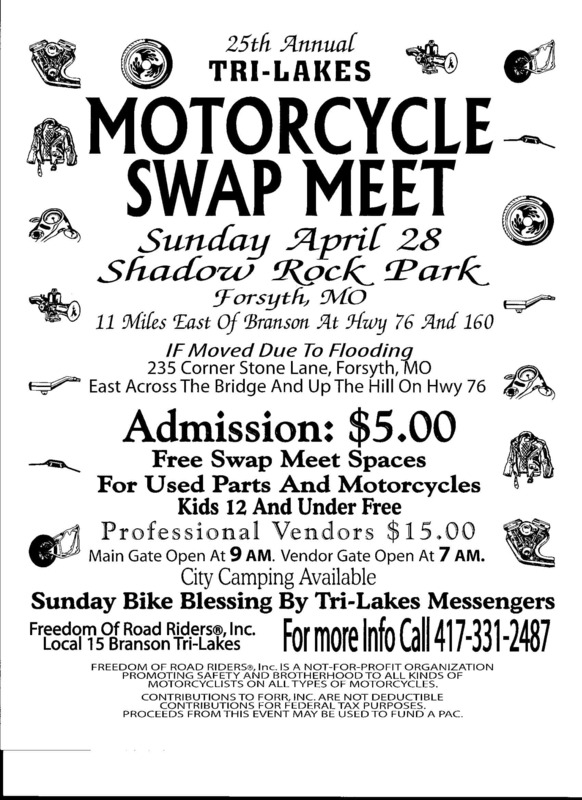 Local 15’s Annual Spring Swap Meet at Shadow Rock Park. Located in Forsyth, Missouri. If moved due to flooding it will be at the City Park up the hill. 5 dollar admission gets space for used parts, arts and crafts or anything you want to sell. It is 15 dollars for professional vendors. Gates open at 7 for vendors and 9 to the general public. Come on out and find that part you need or sell one you don’t. This is generally a rain or shine event but if weather is real bad we may cancel.